Editor’s note: One of the best-kept secrets in the nonprofit world continues to be Google Grants. If your non-profit fits Google’s criteria, you could be eligible for up to $10,000 a month in free Adwords. There’s one hitch, though. It’s hard to figure out how to spend anywhere near your $10,000 ad allotment because the maximum you can spend is $1 per click. SEO expert Dennis Yu tell offers six tips on how to reach a bigger audience. But then you find, if you’re like most nonprofits, that you’re spending only $1,000 a month, even if you’re bidding the maximum $1 price per click. That’s $9,000 worth of traffic you’re leaving on the table. Why is this the case and how do you fix it? Here are six things you can try right now. Target themes of partners that you work with and related causes. 1For starters, your keyword portfolio is probably too narrow. I don’t mean the number of keywords, but the “topics” that you cover. Odds are, you’re targeting only search terms that directly describe your topic. If you’re Grameen Foundation, maybe you buy “microfinance.” If you’re Soles4Souls, you target “donate shoes.” Sounds reasonable, right? The problem is, not that many people type “donate shoes” into Google each month. How do you think “donate shoes” compares in query volume to “Brad Pitt” or even “Brad Pitt photos”? If you’re going after terms that have no volume, no amount of optimization on the same narrow, literal themes will yield a multiple of your existing traffic. So how can you get more traffic while still being relevant? Let’s go back to Soles4Souls. They conduct celebrity shoe drives where famous people of all sorts donate their shoes. Now consider the richness of the themes you can go after. Not everyone who searches “Paula Abdul” is interested in holding a shoe drive at their school or church. But a good number of them might share your interesting content or be more likely to notice the donations box next time they’re at Kenneth Cole. How many keywords do you have that are Quality Score 5 or less? Delete them or improve them by creating negative keywords and tighter ad groups. 2If you’re Grameen Foundation, not many folks search “microfinance,” but maybe folks who like rap music will watch a rap video done by a Grameen intern promoting a cause. Broader themes mean more traffic, often at the expense of “quality.” Most nonprofits say, “So what, it’s free money anyway and you might as well spend it.” We agree but also want to point out you should still filter out irrelevant traffic. If you waste Google’s inventory by not including negative keywords, they penalize you by raising your cost per click. If you have keywords with a quality score less than 6, poor keyword choice is usually the culprit. Sometimes it’s the ad or landing page, but usually it’s the keyword. Mitigate this by using negative keywords. In the case of Soles4Souls, you would create negatives on “sale,” “coupon code,” “release date” and other e-commerce terms. That way, if someone searches your keyword (“Nike Air Jordan” for example), but also says “sale” in their search, the Soles4Souls ad doesn’t show up. Prevent stale landing pages by driving people deep within your site to the most relevant content. 3Perhaps the most common failure we see in campaigns we audit is nonprofits that drive all their traffic to either their home page or their donations page. It’s unlikely that either of these two locations is the most relevant page to show people searching on a particular keyword. Not everyone who comes to your site for the first time is going to donate on the spot. Allow them to browse around and get to know you before you ask for money — much in the same way you don’t want to be accosted when you shop at your favorite store in the mall. Of course, if you don’t have a lot of content on your site, you don’t have much choice of where to send them. Solve this by blogging regularly and allowing the variety of topics in blog posts to dictate keyword choices. As you look at each new piece of content you post, consider what search terms it might show up in. You might even change your content strategy because of your keyword research. Save time in optimizing your campaign by splitting just your top keywords into their own logical groupings. 4Most accounts we see have only one campaign with just a couple of ad groups. This is a recipe for disaster: it doesn’t allow you to fine-tune your messages for individual audiences. Most nonprofits don’t have the time to properly build out a few dozen ad groups with messaging specifically tied to each group, but you can get around this time constraint by sorting on just your most popular five to six terms, then splitting them into a couple of groups. Don’t create 30 ad groups at once, but do split out high volume terms that have different intent, so you can match the right message to the right audience. Better to add a couple of ad groups each week in 15 minutes per session than try to jam in a ton of ad groups at once. The latter will result in your wasting time creating garbage you have to delete later. Look for obvious holes in your campaigns with match types and single ad adgroups. 5Tighter themes mean a higher assigned Quality Score – and a lower cost per click as a reward. Driving $10k of free traffic each month is impressive, but even better is if you can show measurable results. Here’s a simple fix that should yield you another 10-15% more traffic right off the bat. Look at all your top 50 keywords. Odds are, they’re all broad match. Simply duplicate them inside their own ad groups to work on phrase and exact match, too. Match types perform differently in Google’s auction place. Rather than going into a technical discussion on this, just know that any head term (meaning your highest traffic terms) should always be exact and phrase, too. This is a two minute fix, tops. At the same time, look at your top five ad groups based on clicks. How many of them have only one ad in them or only one ad that is getting any traffic? You need to go into each of these ad groups and create a challenger ad to see if you can beat the current champion. Maybe you can modify the headline to have Dynamic Keyword Insertion, slightly different ad copy, and so forth. Using AdWord Editor, you can make these changes in under five minutes. Let’s say that you’re in great shape on all five areas above. You ought to be able to spend your $10k each month, unless the target audience you have is limited to a particular town (maybe a small town) or you cover a micro-niche. Once you’re spending the $10k a month, it’s now time to drive ROI on that budget: collecting donations and emails. 6If you’re not already using goal tracking of some sort — perhaps Google Analytics or an integration with a paid system like Convio — you should. Driving $10k of free traffic each month is impressive, but even better is if you can show measurable results. It’s one checkbox to tie these two together in your Google Analytics account. 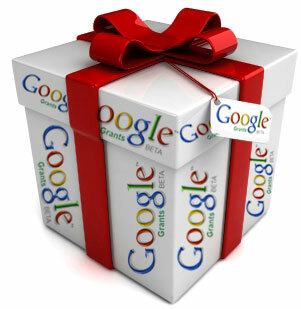 Bonus: tie in your Google Webmaster Tools and you can see your SEO results at the same time. Plus, you can use your AdWords to fill in where you are weak organically. Bonus tip: Yes, you should be bidding on keywords that you rank No. 1 on already if you aren’t spending your whole budget. Google has conducted studies that show that when you show ads against organic results, the net effective is primarily incremental traffic. In other words, the ads steal little of your organic traffic. So ad traffic is truly incremental. Think of this as being in the strip mall, but now you’ve taken over the space of the store next door to make your store twice as big. Dennis Yu is Managing Principal of Webtrends, a provider of social analytics software, as well as CEO of BlitzMetricsl, which does local online advertising. His team of 40 analysts have run 1,100 Facebook campaigns for global brands over the last four years. Follow him on Twitter at @dennisyu or read his blog. This article originally appeared on the NTEN blog.